Most everyone, including me, is trying to get a little healthier, by watching what we eat and exercising more. I do believe I cook nutritional dishes for my family about 75% of the time but I know I can always do a little better. 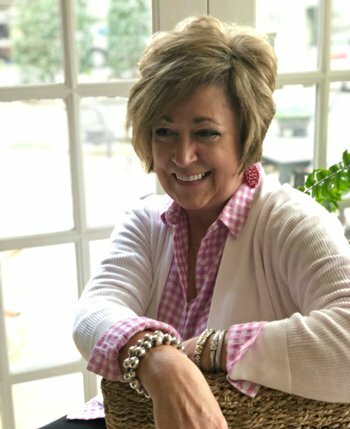 One of my goals this year is to try new ingredients that will add lots of flavor to my recipes while keeping things healthy. One of the ingredients that I’ve quickly embraced is pomegranate juice. For starters, I love the color! 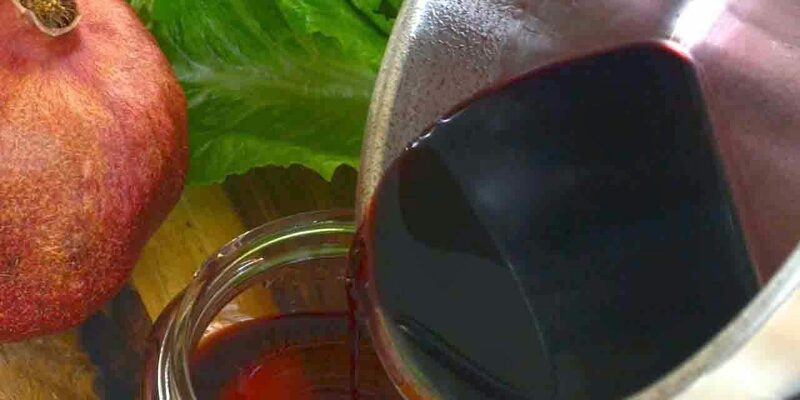 Y’all know what I’m talking about…that dark, ruby red liquid is just screaming to be used in some delicious dish. 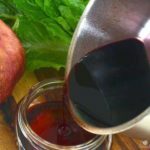 I use 100% POM juice for smoothies or in drinks but my favorite, best, most awesome way is this – pomegranate reduction. 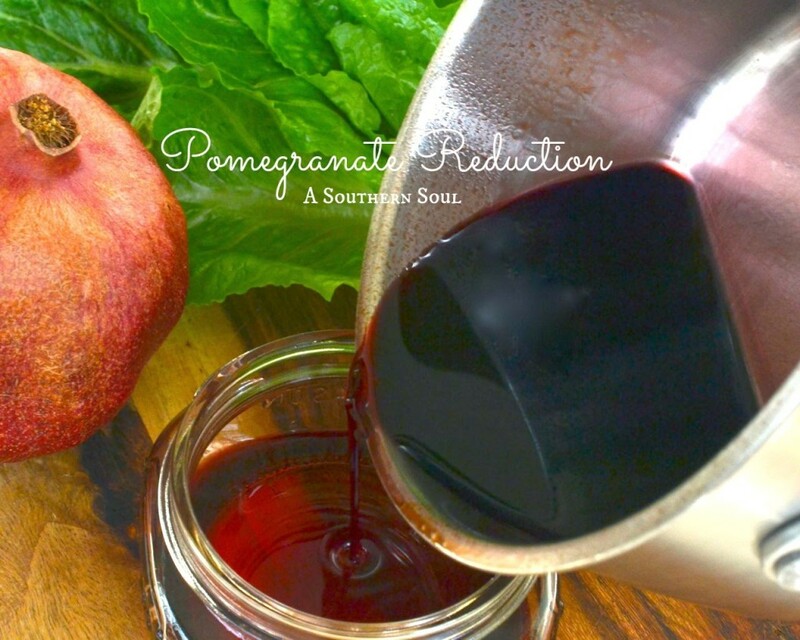 A reduction is different than pomegranate molasses since I don’t use any sugar or spices. I love the intense, tangy flavor of the pure juice that’s been reduced. Here’s how you do it. 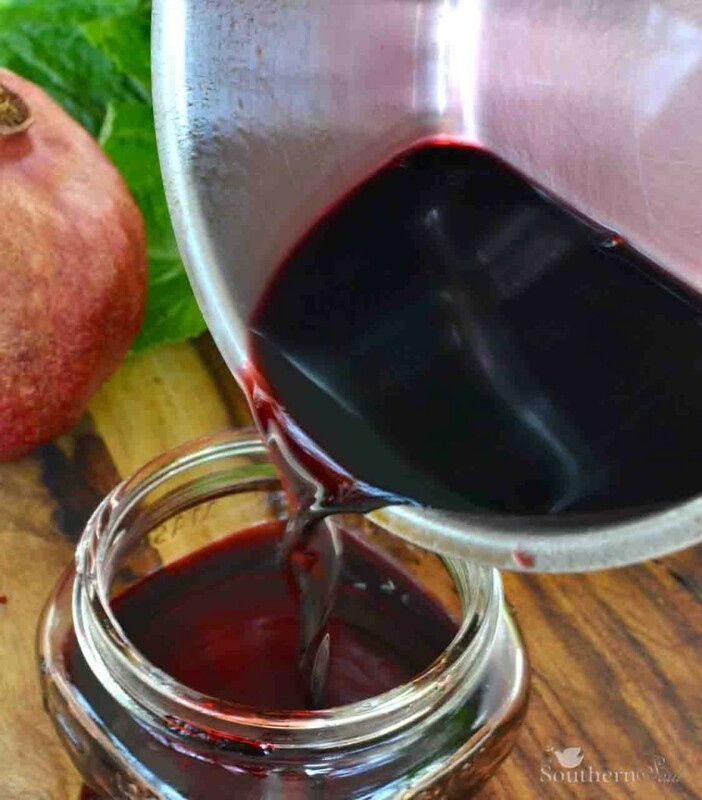 Take pomegranate juice to the next level by making a reduction that you can use to make everything healthier. 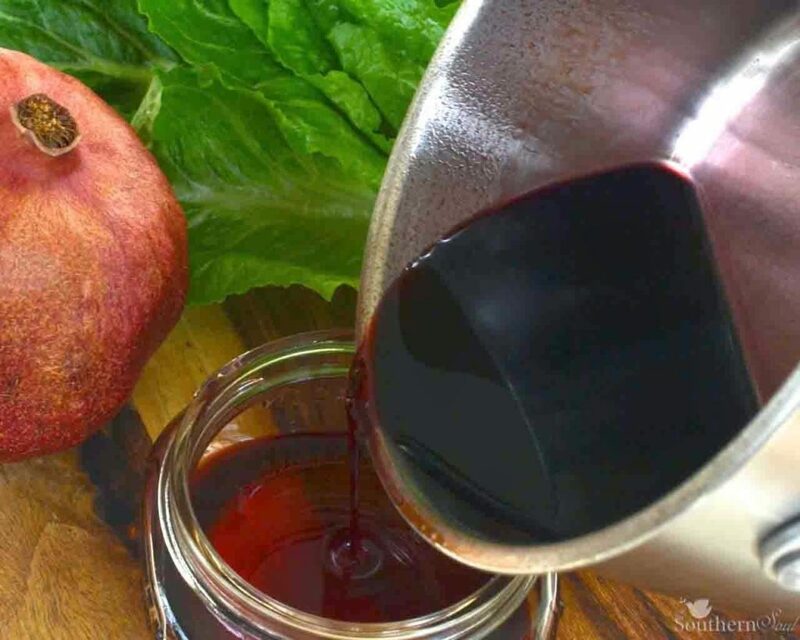 Pour pomegranate juice into a small sauce pan. Bring liquid to a boil and reduce heat. Keep cooking liquid on a slow boil until reduced BY ONE HALF. Remove from heat and let cool. Store in a sealed container until ready to use. Will keep in refrigerator for approximately one month. 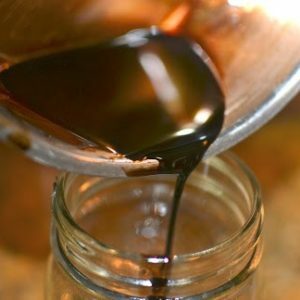 After making your reduction and letting it cool, you can use it in a variety of ways. 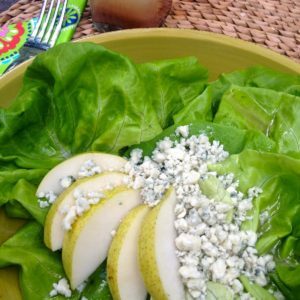 I have two favorites – in a salad dressing and as a glaze for seafood & meats. 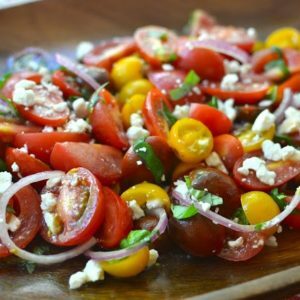 It’s also great as a topping for desserts like ice cream or cheese cake. So go ahead, get creative with this interesting, unique ingredient! FYI ~ it’s vegan, gluten free and is full of antioxidants, vitamin K and loaded with potassium.